Well I thought I posted this but I guess I didn't and will now. 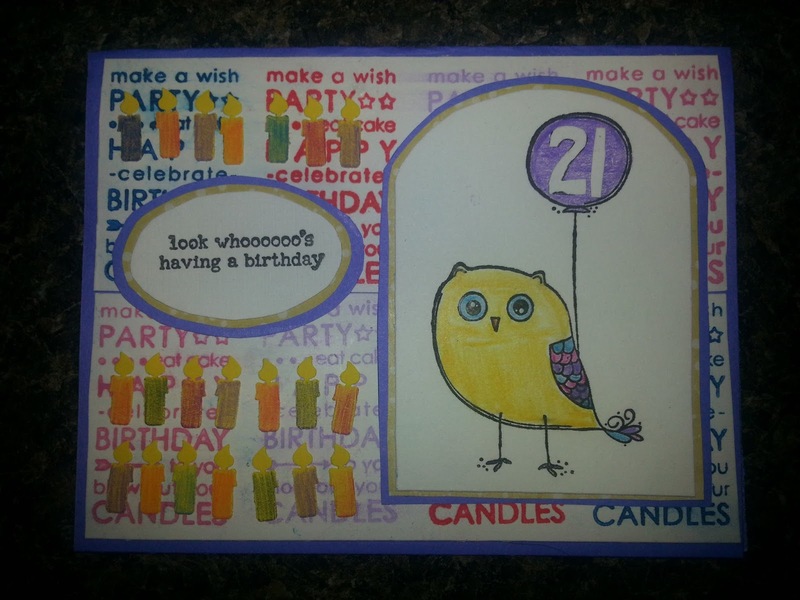 Here is a small quarter-fold card I made for my daughter Bridget for her 21st Birthday this month. Where did all the years go. "Whoooooos Birthday". I think it came out very cute!. 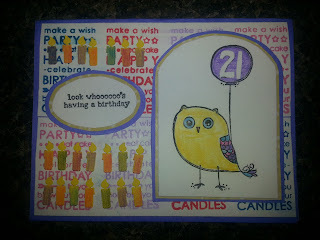 I used also an itty bitty that Unity carries for the background of the card. If you need to reach me....please message me here.